“Yes, but we not normal, we are born from lies, I myself have spun my own web, it’s already strengthened with the amount I have told.” I say this as my eyes go to my fingers on the armrest staring at the my family Crest, my namesake, the Delroy ring. “We are destined to be like the men before us, aren’t we.” Dexter’s statement sounds like he is talking about prison time. And maybe the Guy’s father just worked for my dad but Kent and I are friends. We grew up together. Not meaning that I would be calling him my best mate but the guy certainly has the potential. 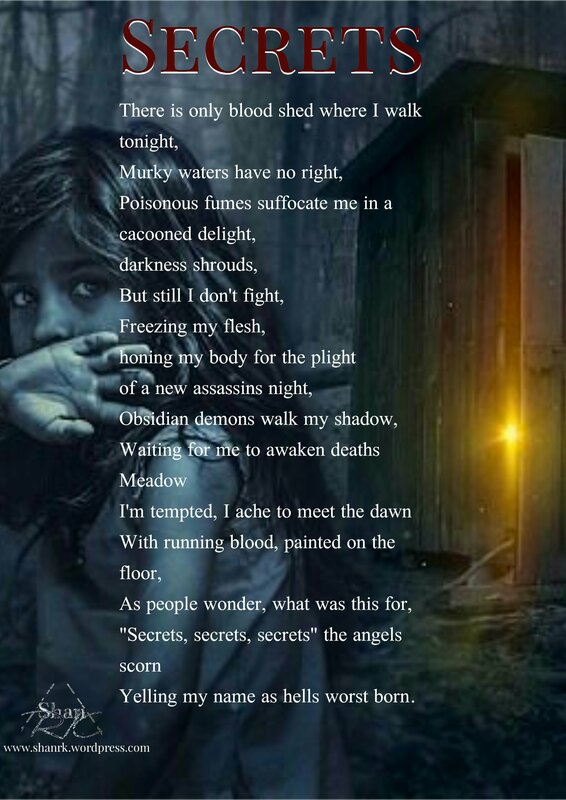 We all have our secrets…. I wanted to share this with you guys as I told a lot of lies myself recently in order to keep a few of my own secrets. Let me just say I swapped my heels for boots and pretended angels could fly. To say it didn’t end well… Is a long story I am never confessing.